The Temple of Sacred Alchemy honors each Activity and Focus of Light on the planet, each Messenger, Spiritual Teacher, and Leader committed to the Advancement of Humanity, the Flame of Truth within the mystical teachings and spiritual healing practices of the world's religions, saints and sages East and West, and the Spiritual Hierachy who lovingly watches over our planet. We acknowledge with great gratitude the Divine Ones who are sponsoring this Activity of Light, and who govern the 33 seats as Spiritual Board of Directors of the Temple of Sacred Alchemy with their Divine Complements, Entourages and Legions of Light. 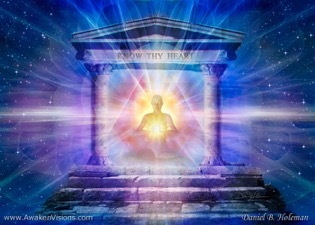 We serve Awakening Souls worldwide, and all Sentient Beings in this Universe of Worlds, providing monthly Global Healing Forums so that the GREAT CLEANSING of our world can take place as we invoke the Hosts of Light from Higher Realms to heal the causes and cores of suffering within the psyche of humanity. 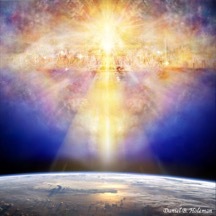 We are aligned with the Divine Intention that has launched a Global Mission to birth a Golden Age of Light in this time. We acknowledge the pivotal years in this planetary change – 2012-2033. We offer ourselves as Sacred Alchemists – Priests and Priestesses of the Sacred Fire, who are Vessels of Light, Healing and Love to a planet in transition. We anchor the Divine Presence and reset the Codes of Divinity at Sacred Sites around the world and in the DNA of an Awakening Humanity. We offer advanced High Initiate Mastery Trainings to support the Divine Destinies of those called to join us in this Sacred Service. We bring Divine Healing Offerings to suppport Awakening Souls worldwide. One of our greatest gifts is Sacred Alchemy, which is helping set humanity free. We offer the principles and practice of Sacred Alchemy, so souls around the world can partake of the Great Transfiguration possible in this time through this Sacred Healing Art. Through our healing sessions, courses and programs, we actualize potentials and empower Divine Destinies, providing a way out of the sad fate dictated by the human conditioning, which has entrapped humanity in life sentences of suffering throughout time. We are helping humanity defy the conditions that are perpetuating the Great Travail, ending the Reign of Darkness that has caused suffering on Earth. We call Souls of Light to join us in this great endeavor. To align with us and the Divine Ones for a mighty Victory in the Earth! Your allegience and support is greatly appreciated! We are in a Time of Great Awakening! Today, Personal and Planetary Transformation has become a keynote catalyzing World Change. Against the backdrop of dire prophecies and potentials, a Glorious Future awaits us. As we use Sacred Alchemy to free ourselves from the age old patterns, karma, and beliefs that have created suffering in our world, the Divine Intention for our lives can manifest its Glory in and through us. As our lives are transformed, the world changes around us. As we live in our Authentic Selves, we are raising the standard of life worldwide. Mother Mary, the sponsor of Sacred Alchemy, says, "Through Sacred Alchemy we are changing the world from within." We invite you to join us in this Sacred Vision and its Divine Manifestation through our Activity of Light. If our tenants resonate with you, we would love you to receive our newsletters provided monthly by Aurora Juliana Ariel, PhD, which bring you a Feast of Light in timely offerings, knowledge, and tools for transformation. Sign Up Now. All that has been given thus far is only the beginning. We have a vast array of new healing music, books, audio CDs, DVDs, films, programs and courses in creation, our Sacred Alchemist World Tour is launched, providing High Initiate Trainings at Sacred Sites around the world, our live Virtual Classroom is ready to train souls worldwide, and there are a host of Divine Healing Activations and Messages ready for release in our monthly Global Healing Forums from the Divine Ones who are lovingly guiding the Spiritual Destiny of our Activity and our planet.